Today’s Challenge: Make a sign that reminds people to smile. Wear it, carry it, or post it! So, make a sign to remind people to smile. Stick a post-it note on a mirror, post a sign by the door, pin a poster to your backpack, share a post on social media, or find new ways to make people smile. 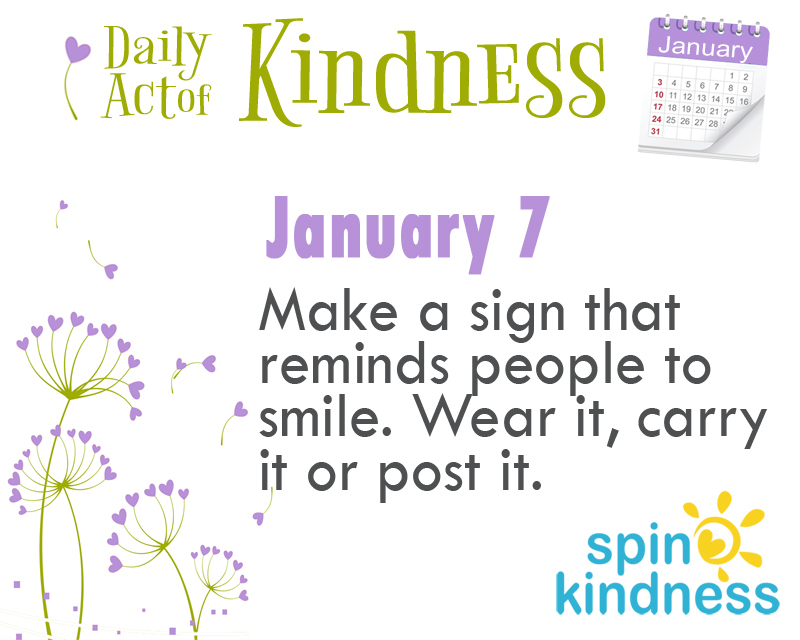 Share your experience with us in the comments or on Facebook or Twitter using #spinkindness.